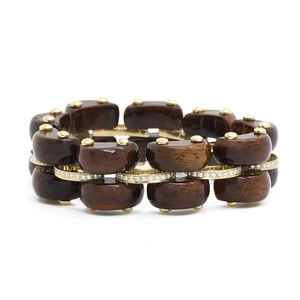 Diamond & Polished Wood Bracelet at Reliable Gold in Providence, RI Reliable Gold Ltd. 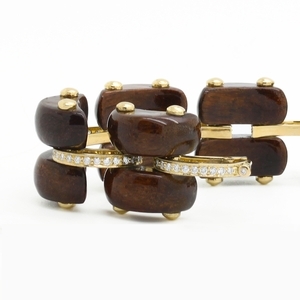 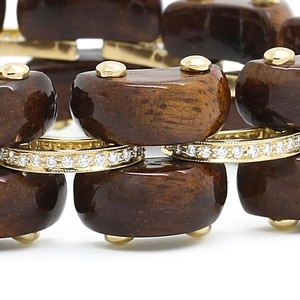 Stunning and eminently wearable flexible bracelet with sleek, polished wood domes, approximately 57.12 carats total weight, with a row of 123 round diamonds between, approximately 1.23 carats total weight, in 18K yellow gold. 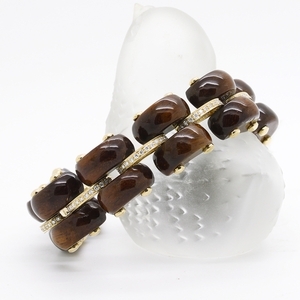 Seven inches long.